Arabian Telecommunications and Electronics Company (AT&E) serves the business community in Saudi Arabia with state-of-the-art telecommunications products and solutions. Established in 1982, AT&E is a wholly owned operating company of The Olayan Group. Headquartered in Riyadh, AT&E is committed to offering fine products and excellent service, believing that "increasing your productivity is our business." This concept is the heart of our success in a competitive market. 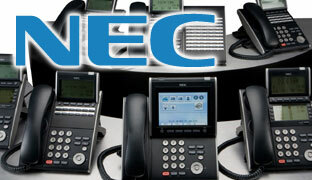 NEC: NEAX Series digital key telephone systems, PABX and telephone sets. 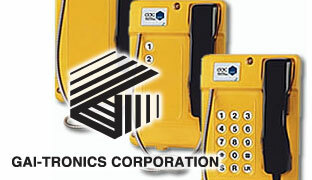 GAI-TRONICS: Rugged telephones and supplies for industrial use. With a variety of offerings in both stationary and mobile communications, AT&E can bring savings and efficiency to customers throughout the Kingdom.This includes the commercial, industrial, and public safety sectors. AT&E is well positioned to carry out turnkey projects in telecommunications, be it mobile or stationary solutions, radio, public safety services or audio services - all backed up by professional, certified support centers across the Kingdom. Together with our closely linked affiliate, Arabian Business Machines Company (ABM), AT&E offers products and service support through branches strategically located in five major cities: Riyadh, Al-Khobar, Jeddah, Hofuf and Jubail.